Late August and early September are one of the best times to visit the Whitefish area and Glacier Country in Montana. Days from the beginning of August through the middle of September are a comfortable 70-85 degrees with nights cooling off into the 50’s. The crowds thin out in Glacier National Park, allowing for a more intimate park adventure. 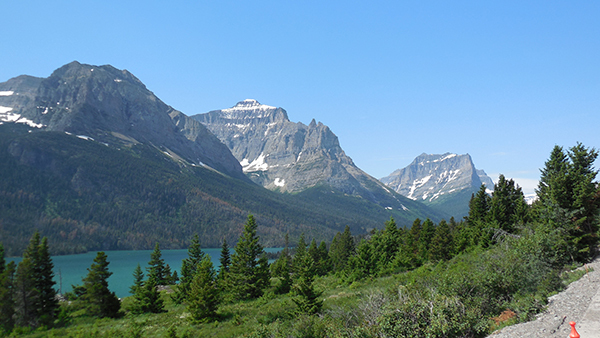 Glacier National Park is 1 million acres, of unspoiled jaw dropping beauty including, cascading waterfalls, alpine meadows, towering mountain peaks, and 25 glaciers. The famed 50 mile Going-to-the-Sun-Road is open through early Fall and meanders through, arguably, the most beautiful scenery in the country. With less visitors around, wildlife-watching opportunities are in abundance at that time of year! 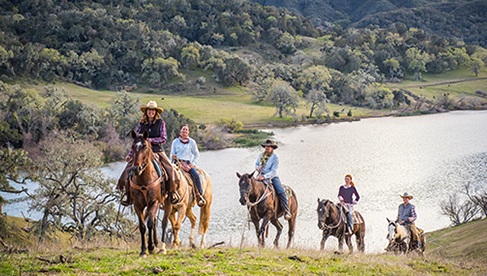 At the ranch, Spencer Lake and the surrounding meadows and trails are primed for end of summer and early fall fun. 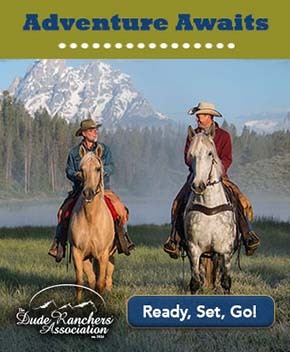 Smaller groups at the ranch allow for personalized attention including horsemanship lessons with talented wranglers. 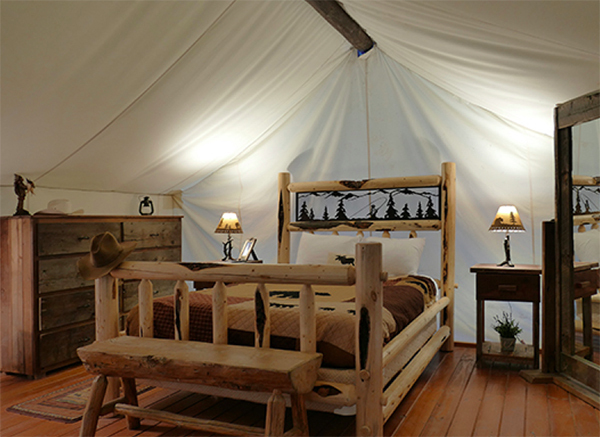 The Bar W gives you access to thousands of acres of Montana wilderness for horseback riding, as well as activities including barrel racing and working cattle. 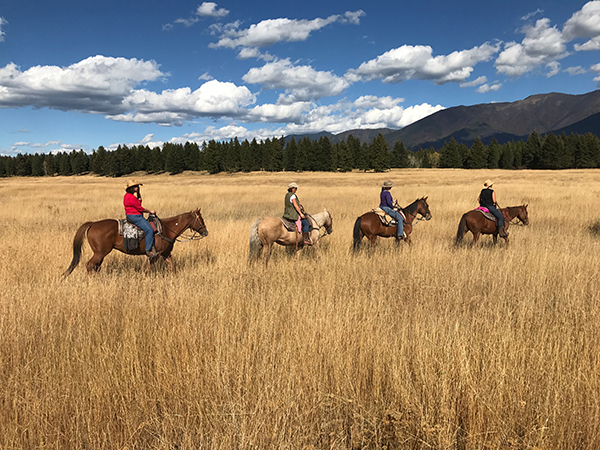 As a small Montana ranch, with about 35 guests per week, ranch staff make it a priority to customize everyone’s vacation for a more personalized experience. The Bar W is popular among solo travelers, couples, groups, and families! Activities are in small groups with family style meals, meaning many guests forge meaningful friendships with fellow guests and staff. 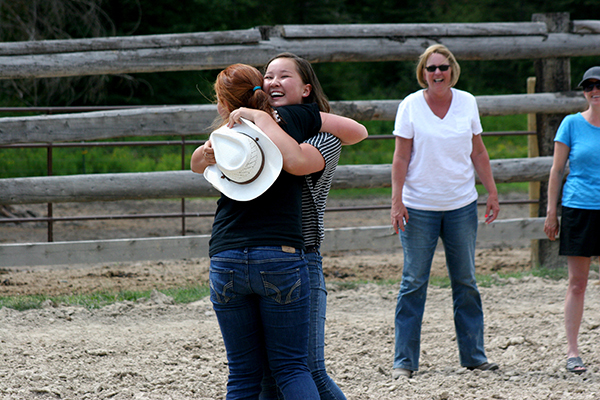 Some guests have even formed such strong bonds with fellow vacationers that they coordinate their return visit at the ranch the following year. Check out some of the best things to look forward to during this time of the year at Bar W Guest Ranch and in Montana's Flathead Valley. “Glamorous Camping” at the Bar W.
Downtown Whitefish is less than four miles from the ranch and is a vibrant resort town with small-town charm. Whitefish hosts a number of annual events that can be fun to plan your Bar W vacation around, including the upcoming August 10-12, 2018 Huckleberry Days Art Festival. Artists and food vendors, live entertainment, a huckleberry dessert bake-off contest and a mobile climbing wall for kids bring out locals and visitors alike. Active travelers may enjoy visiting September 8, 2018 during the Whitefish Community Foundation’s 4th annual Great Fish Community Challenge. Run or walk for your favorite participating charity. This family-friendly 5K Competitive Run and a 1 mile short course and the 5K and 1 mile color run are a big attraction for locals and travelers. Bring something you don’t mind getting dirty for the color run, where those involved get covered in a non-toxic colored powder.